I’ve been told that creativity is like breathing. When you design, invent and work your craft, you’re exhaling. And when you surround yourself with beauty, with inspiration, with the new and unusual, you’re inhaling. Well I just took one hell of a deep breath in Mexico! 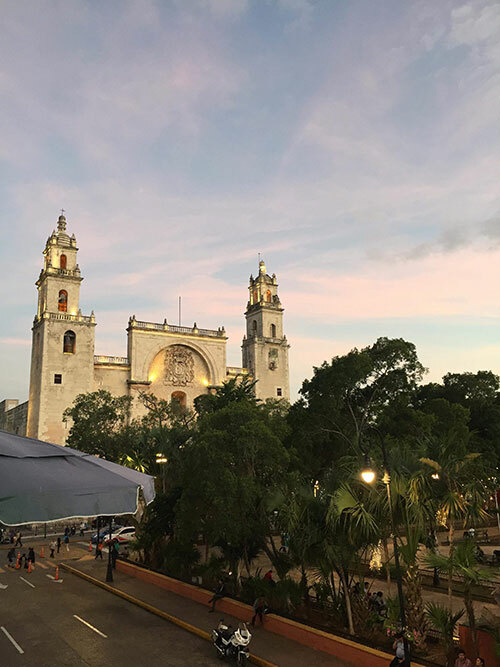 I’ve shown up in the lovely town of Merida just in time for a their Festival of Lights! More than 20 individual light sculptures that range from elaborate digital projections on the face of cathedrals to monuments of sound, light and fog that look like dubstep and the girl from the Ring had a very eerie baby. 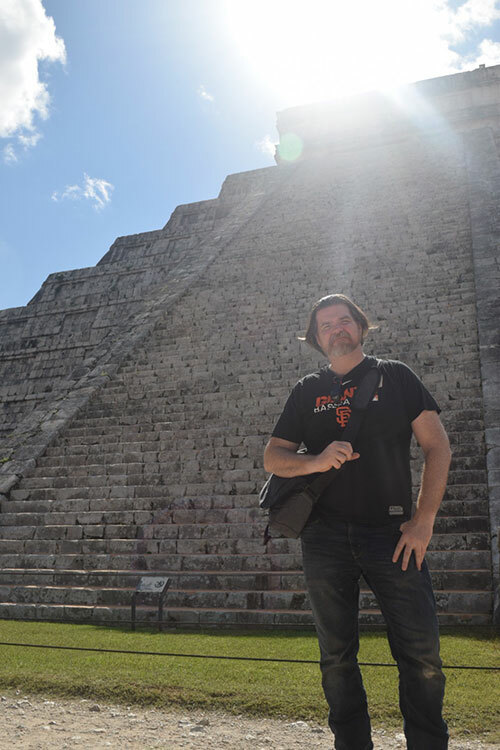 When daylight is shining the town is a walkable marvel of stunning architecture, amazing food, and proximity to one of the great wonders of the world: Chichen Itza! I’ve been devouring the sights, sketching and coming up with at least half a dozen new design ideas. Not to mention contemplating maybe opening up a studio here.